This book is a series of vignettes from the lives of strangers trapped by an earthquake. To distract themselves from their grim situation, they each tell a story -- a defining momoment from their life. I enjoyed these snapshots into the lives of such very different people. And I liked that through these stories, we're reminded that while we may not have anything in common on the surface, at heart we are all human beings with shared emotional experiences. Love, loss, family, hope, despair, success, failure. The writing was lovely as well. It's a short book, but deep, and fully engrossing. 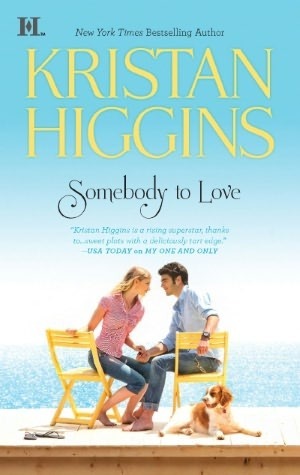 I recently went on a mini romance-reading binge, sandwiching Kristan Higgins' Somebody to Love between the first two books in Nora Roberts' new Inn at Boonsboro trilogy. All three books were enjoyable: exactly what I expected and exactly what I was in the mood for. It was interesting reading all three so close together, because of course comparisons between the two authors were bound to be made, since they were all contemporary romances. 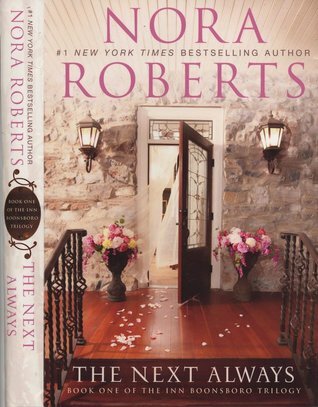 Nora Roberts isn't an author I read a lot of, but I was intrigued by the setting of her new trilogy -- a small Virginia town and a family who was refurbishing an old Civil War-era building. What made it even more intriguing was learning that the inn and the town are real places. Now I want to take a literary road trip! I stuck around for the second book because of this charming setting and the likeable characters (including a ghost!). 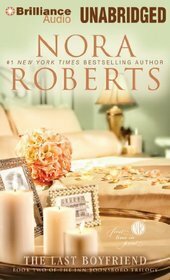 I'll be honest -- I do grow tired of Roberts' writing style after a while. Her characters are all a bit...too much, if you know what I mean. Pair that with some pretty unnatural dialogue and I start to get eye strain from the eye rolling. But, all that said, I did enjoy the books and will probably pick up the third. Kristan Higgins on the other hand, gives me a much more well-rounded package. Great charcters, charming setting and great dialogue. Her books take themselves a little less seriously, and therefore have more of a sense of humor. But they're funny without being silly. I think I've read most of Higgins' novels, and this latest one is possibly my favorite. A riches-to-rags single mom and author of a ridiculously cheesy children's book series spends the summer in a tiny Maine town flipping a junky house -- the only thing that wasn't taken when her dad was arrested in an insider trading scheme. Her dad's newly unemployed long-time lawyer returns to his carpentry roots to help her fix the house up and get it ready to sell, despite the fact that Parker has never made a secret of her disdain for James. It's a summer of personal growth and relationship-building. And with a hot guy running around shirtless doing manual labor......what do YOU think is going to happen? Bottom line: you can't go wrong with any of these romances, with top points going to Somebody to Love. I'm in a pickle. I have too many things I want to pick up and read, and it's making my brain hurt. I'm still working my way through the Experiment in Terror books -- but they're dark and creepy and twisted. I need to break up all that grittiness with something else a little LESS. So what do I choose? Romance? Fantasy? The book that's been languishing on my kindle or the ARC that's already come out? Sigh. Someone just put a book in my hand already!